Home > News > A proper Atelier game is coming to mobile! Not free-to-play! PROPER! A proper Atelier game is coming to mobile! Not free-to-play! PROPER! And the best bit of news all week comes in right at the end of the week; Koei Tecmo is releasing a proper Atelier game on mobile, for a premium price, and with none of the free-to-play nonsense mechanics (we think). 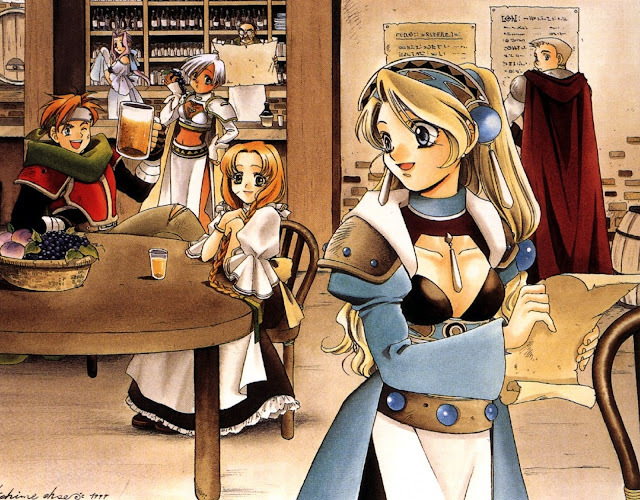 The game is Atelier Marie, which was originally released on the PlayStation. The mobile port's full title will be called Atelier Marie Plus: The Alchemist of Salburg, and it will set you back around $15. The game releases on Japanese devices (Android and iOS) "soon." There is no word of an English port at this stage. To be honest, I wouldn't be holding my breath for this one, since the original Atelier Marie was never actually released in English. But, you never know. And if this pays off for Koei, we may well see more of its classic Atelier games released on mobile, and wouldn't that be a delight?